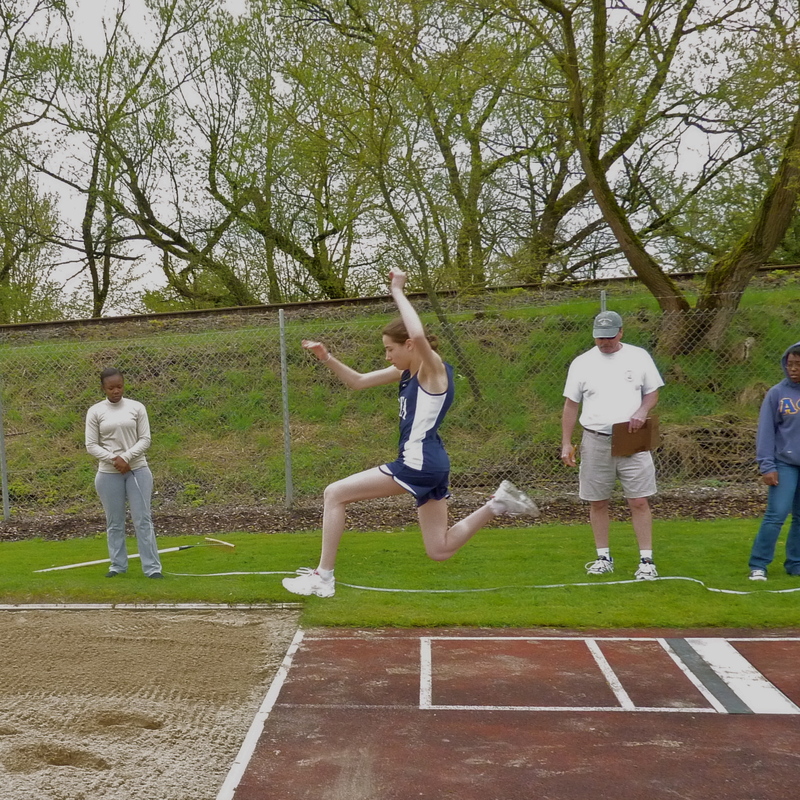 Karmyn long jumps for the first time ever! Living in this beautiful mess is who we are. Not that I’m compulsively neat, of course. I have my blind spots, like everyone–mugs that sit on the counter longer than they should, that piece of paper still on the floor of my room, which is probably a packing list for the Romania trip–but in general I like to keep things clean. Make pizza dough, for sure, but get all the flour off the counter when I’m done kneading. I like things put back together. It’s been a “messy” week. Not disastrous or tragic, not heartbreaking or world-shattering. Just messy. Lessons that didn’t go as planned. Projects that didn’t get finished. Days that were filled, morning to night, with activities that took longer than I expected. I found myself often tired and almost comically frustrated by the many factors far beyond my control. I am just recovering from one of the most difficult of these–a yearlong project that miscommunication between students has brought down to the final, stressful wire of a printing deadline–when I read this proverb: “Where no oxen are, the manger is clean, but much revenue comes by the strength of the ox” (Proverbs 14:4). I laugh at the imagery, picturing a compulsive but penniless farmer, pleased and perplexed at his spotless, empty barn, while the prosperous farm across street has stalls filled to bursting with cows and all the mess they entail. The cows and stalls stick with me, though, as I consider the ways that I’ve spent this week trying to “keep my stalls clean” instead of doing the hard and risky work of trusting and caring for those I’m here to serve. In any endeavor that involves another living, thinking being, things are bound to turn out differently than I expect. Students make mistakes, not because they are inherently untrustworthy, but because you and I and everyone makes mistakes. I’m humbled to remember the parents, teachers and coaches who spent my adolescence not being annoyed with me for “messing up” their intricate plans for how I’d behave, but with patience and wisdom teaching me to build and grow, even when that growth was risky and a little messy. Saturday morning, I stand beside the sandpit at our track meet in Bitburg, Germany, waiting for seven long jumpers to take their four trails each. I’ve spent some time coaching each of these jumpers. We came out early today and marked starting steps on the runway, practiced accelerating to the end and hitting the wooden board in just the right spot each time to pop up in a graceful arc into the sand. I’ve tried to calm nerves with information, encouragement, advice. Now, though, I’m watching a jumper on his third jump. He fouled on the last one–placing his foot just over the board, thus jumping too late–and I want more than anything for him to get the next trail marked rather than “scratched.” As I watch him from the opposite end of the runway, it strikes me that there’s nothing more I can do for him. With all coaching paused for a moment, I’m trusting him to remember. This is his jump, not mine. As he sprints toward me and the sandpit, I pray for him, for this jump and other things. Talking to God, I watch this jumper run down and, thankfully, jump in time. I realize that this–bringing to God those elements far beyond my control–is how it’s possible to live with or even rejoice in the unpredictability that life often brings. And I’m thankful, for the first time this week, for the grace I have received and can now give, for the beautiful messes that God uses for His glory. What an elegant reminder… thanks.